DISCONTINUED ITEM 14" X 12 3/8". 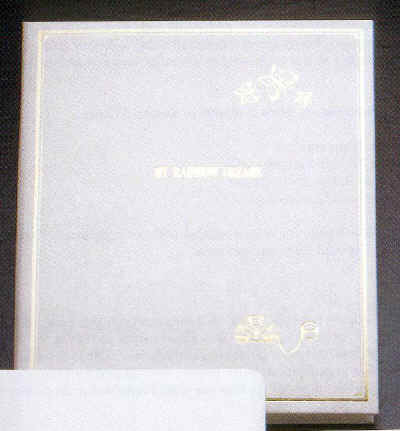 Beautiful large white cover embossed with gold butterflies, title, and rainbow and pot of gold. Contains 30 large white album pages. Refills and extensions available. Name may be embossed under the emblem for $5.00 per line.